Last week, Hennepin County Prosecutors sent two more mortgage fraudsters to prison for ten years. James and Wendy Ober brokered approximately $23 million in loans, according to the Federal Housing Administration, much of which was facilitated by forgeries, identity theft, and other fraudulent and predatory practices. Three northside properties were listed in the sentencing document - 4247 Sheridan Ave N (pictured above), 625 Morgan Ave N, and 1811 Upton Ave N.
Many of the business journals and other media that covered this story called the Obers' actions the "next wave of mortgage fraud." A few years back, I met with several investigative authorities who asked me this very question. They knew what the mortgage fraud of 2005-2007 looked like, but the housing crash and recession forced legal and institutional changes on the mortgage industry that made previous fraud difficult to replicate. So what investigators wanted to hear from me and other housing professionals was what we were seeing as the new fraud. 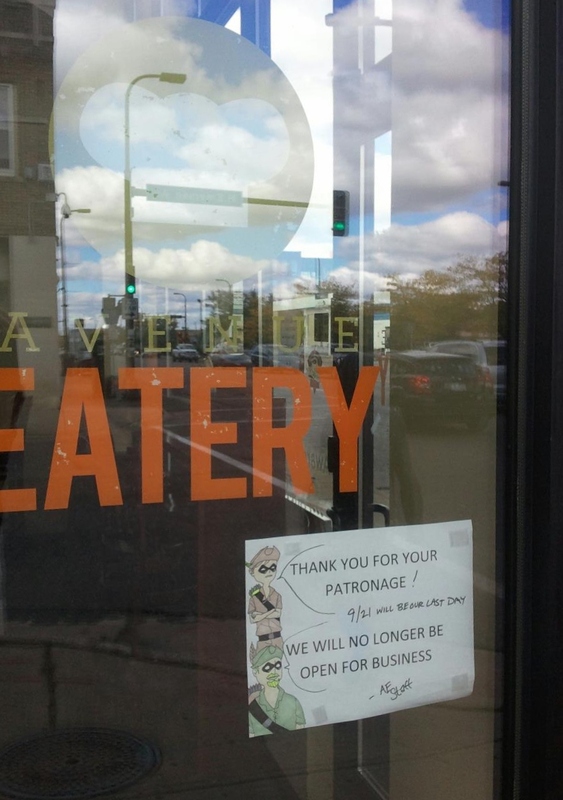 As of September 21st, the Avenue Eatery on Broadway and Emerson closed its doors for the last time. I'll miss what the coffee shop promised to be when it opened a year and a half ago. But the place failed to deliver on its potential and was mostly a disappointment. At its grand opening, soup, fresh sandwiches, cheesecake, and ice cream were all served. Outdoor seating was available, with a longer-term permit supposedly in the works. There was talk of live music coming to the eatery. The management at the time seemed to have all the right pieces in place to bring the north side a truly great coffee shop. 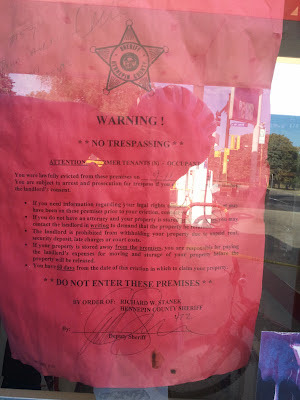 The gas stop at the corner of Penn and Dowling Avenue North was reported as closed on the North Talk Facebook group last week, although the cause is still uncertain. A peek through the windows reveals shelves that are almost completely bare, suggesting that the station won't be reopening anytime soon. 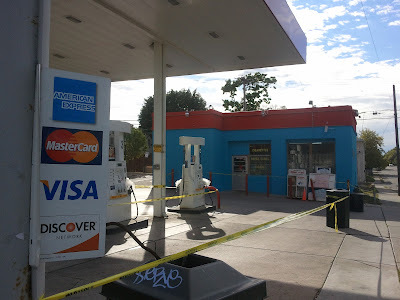 The two theories being suggested are that the property was under contract for deed and defaulted on payments, and that the gasoline pumps were not measuring accurately. If the latter is the cause, the gasoline could have been watered down somehow or the pumps could have been tampered with to distribute less gas than what was indicated. Anyone with more information is encouraged to use the comment section on this blog. 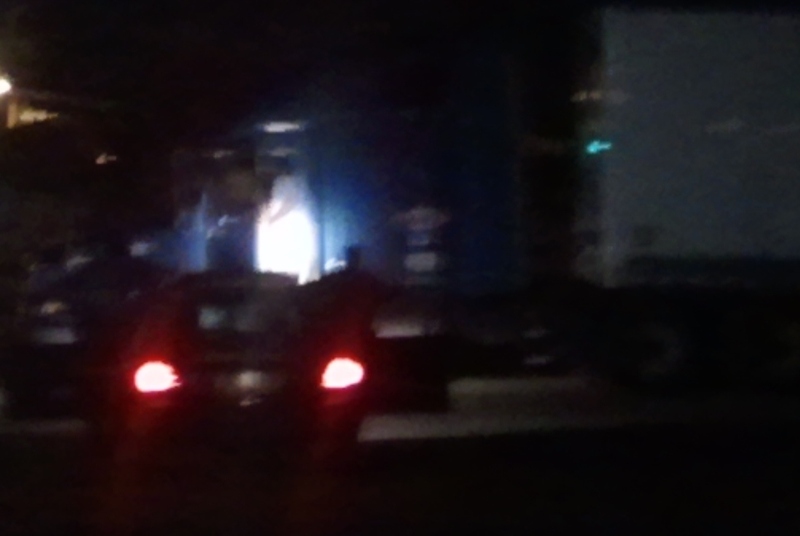 Disclaimer #1: Alleged prostitution bust. Disclaimer #2: Prior to moving in, I had to convince people that this corner is not as tough as everyone thought it was. After moving in, I realized it's not even as tough as I thought it was. But stuff still goes down. 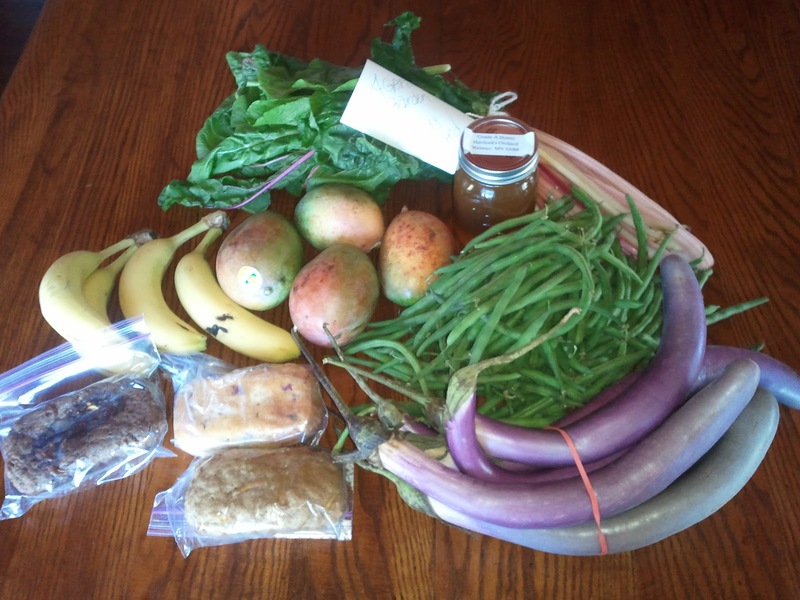 Thanks to a grant from Allina Health, the West Broadway Farmers Market offers a bike/walk raffle. If you bike or walk to the market, you can enter into a raffle to win $25. But there's a catch: that money has to be spent at the next market. I was a lucky winner two weeks ago, and cashed in my Broadway bucks last week. The deals are so good that I actually had a hard time spending twenty-five dollars in one shot. What does $25 get you at the West Broadway Farmers Market? 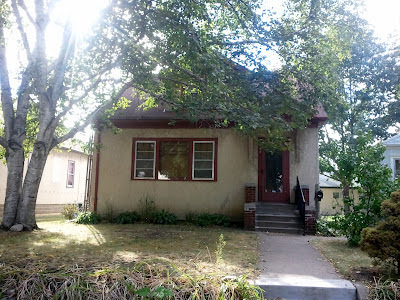 Post and photos by the Hawthorne Hawkman, second photo contributed. 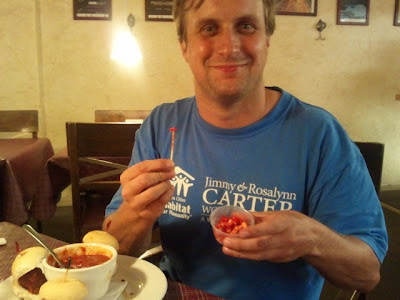 Two years ago, I was the first (crazy) person in the area to blog about the bhut jolokia, the hottest pepper on the planet. Since then, another pepper, the Trinidad Scorpion, has on occasion been measured as hotter than the more commonly known ghost pepper. While I have yet to try the latter, the former has made its way into our daily lives. 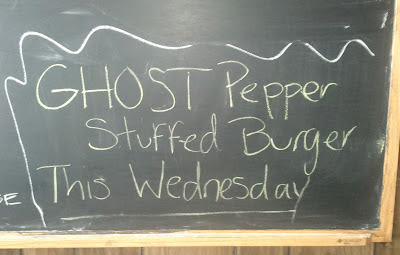 Okay, not daily; the human digestive system is not made to handle regular ghost pepper consumption. But more and more places are including the spice as an option in their meals. The top two photos are from Papa's Pizza. After Dan Hylton's CD release concert, I stopped by Papa's for a quick bite. 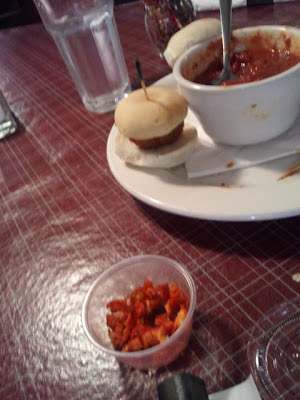 As the cook saw me pouring the red chili pepper flakes on my slider, he said, "If you like the hot stuff, I've got something REALLY hot for you. That is, if you can handle it." 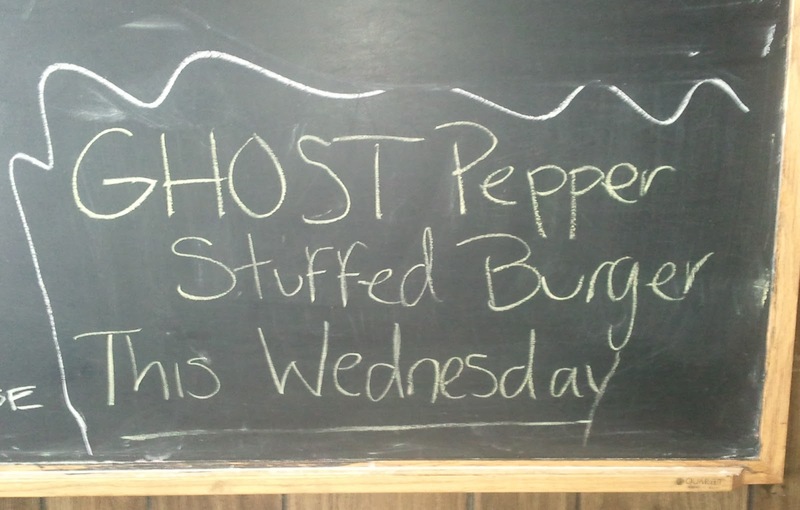 "You don't mean...the ghost pepper?" I inquired. Sure enough, he brought out a small container for me to add to my food. 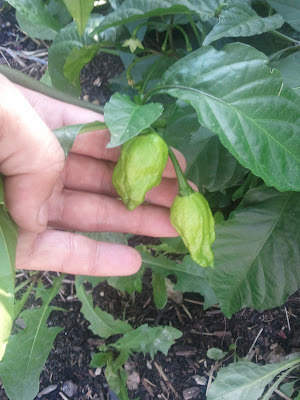 when he saw me take down most of that container while only having a few sips of water, he gave me a bag of five or six peppers to take home. In a nice community touch, these were grown at The Warren, which hosted Dan Hylton's concert that evening. 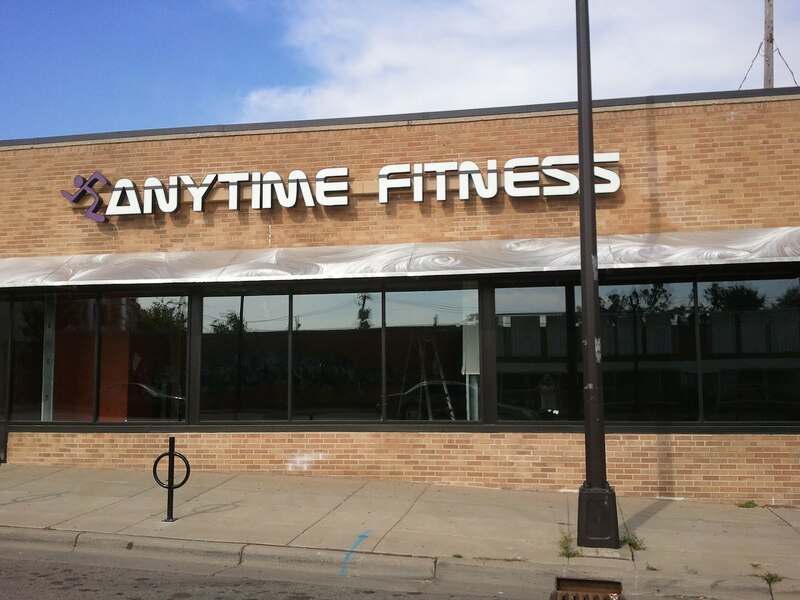 Anytime Fitness Coming to West Broadway! The title and photo pretty much say it all. Suffice to say, I will be transferring my membership the day this opens around the corner from Penn and Broadway. 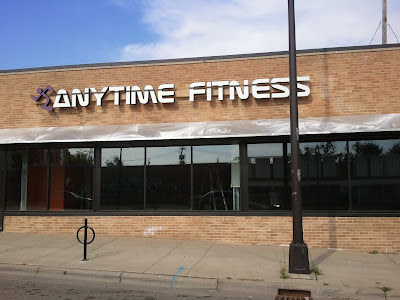 Hopefully I get to say this with great frequency, but I told you this part of north Minneapolis is turning around.